The Australian Working Border Collie Registry is the only national registry for the pure bred working Border Collie in Australia. The AWBCR was founded by Tricia Thomas in 1996. At that time there was no registry for pure working Border Collies in Australia. 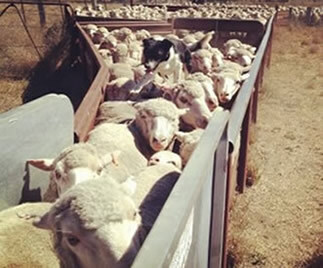 The only registries available for working dogs were the state Sheep Dog Associations which register Border Collies, Kelpies and their crosses and the Working Kelpie Council. This allowed an opportunity to start a national registry for the pure working Border Collie. It is thanks to Guy and Tricia's foresight that we now have the AWBCR, giving breeders of these wonderful and versatile dogs a national registry. Guy and Tricia live and work on a sheep and cattle property near Aberdeen in central New South Wales. They both have a long standing passion for their Border Collies. Their dogs play a big part in their lives and like most of our members their dogs are used to help manage the livestock on their property. The Border Collie originated in the border regions of Scotland around 350 years ago. 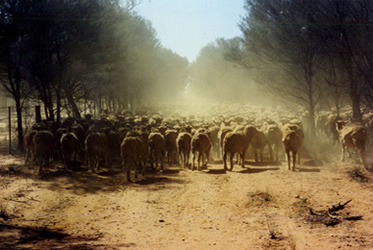 They were developed by local shepherd's to help herd their livestock (sheep and cattle) in difficult terrain. 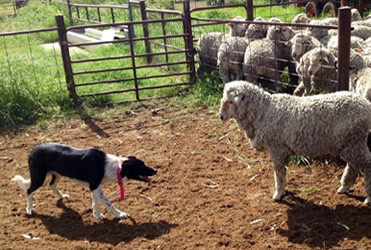 These dogs soon developed a reputation for their relentless desire to work and their calm and quiet approach to handling livestock. It was not long before the Border Collie started to spread throughout the rest of the UK and then the world. 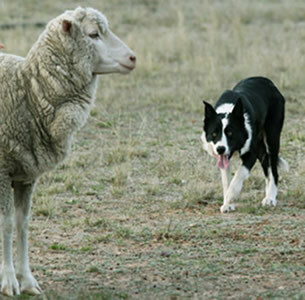 In the mid 1800s the first Border Collies were imported to Australia to help manage the emerging sheep and cattle industry. Since then there has been a steady flow of these dogs coming into Australia, which continually adds to the gene pool of the original dogs. 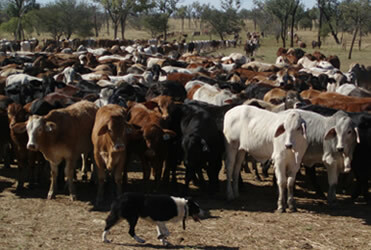 In most cases the Border Collies that are brought in to the country are usually from Champion lines and have a positive effect on the breeding of our Australian dogs. Since the start the Australian Border Collie has been developed through selective breeding, to suit the different climatic conditions across Australia. The main difference is the length of their coat. In most cases the Australian Border Collies are smooth coated. This has helped the dogs cope with burrs and the scorching heat. 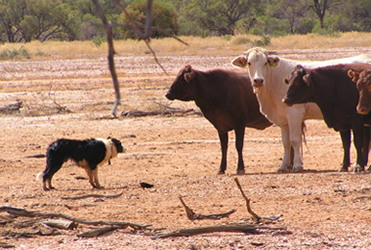 Today the Australian Border Collie is used in a variety of different situations. 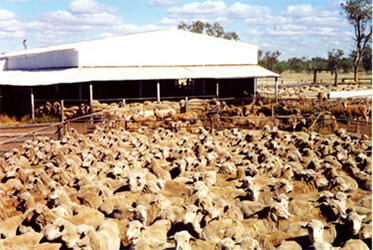 They are used on smaller sheep, cattle and dairy farms in high rainfall areas through to large scale sheep and cattle stations in the hot and dry heart of Australia. They are used to muster sheep and cattle in the paddock as well as help draft thousands of sheep through yards and pen up in shearing sheds. After work these same dogs are able to then compete in sheep and cattle trials. 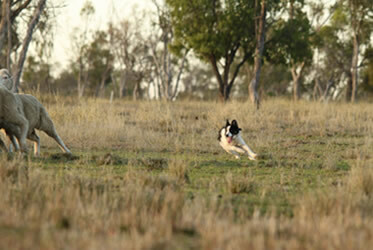 Their versatility, intelligence and drive for work is what has made them the most used stock dog in the world. They are happy to do all this for a pat on the head and the chance of doing it all again tomorrow.